We girls want smooth and hair free skin. Right? And for that there are some hair removal methods that we will try depending on the time, skin type, preference etc. 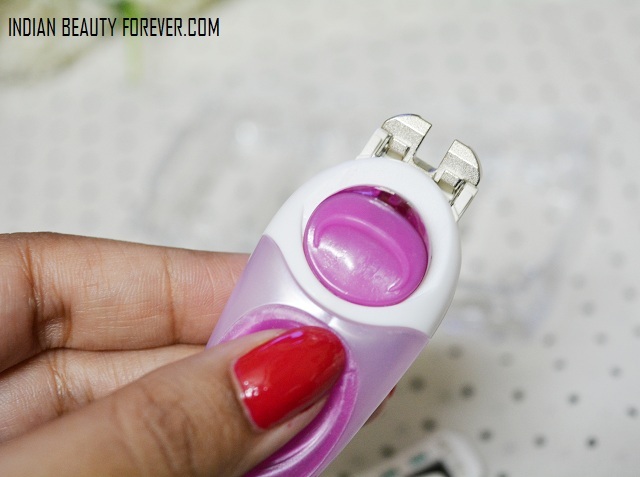 I have tried all the popular hair removing methods from waxing to epilators to razors to depilatory cream. Out of all those razors fit the bill perfectly, when we don’t want pain or don’t have time to visit a salon or don’t want to wait for the depilatory cream to act and not to forget the foul smell. 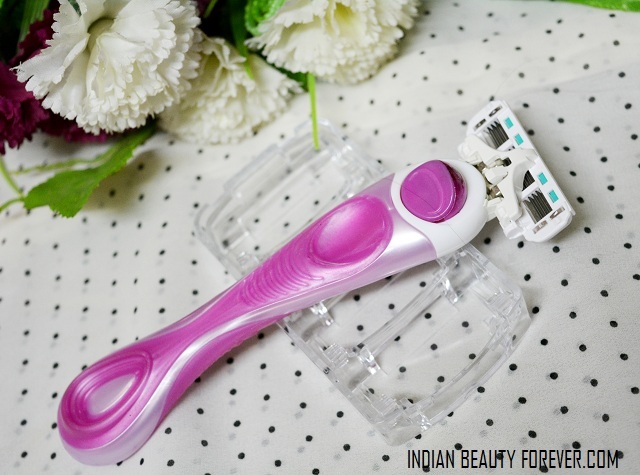 I will introduce this new razor for women which is from this new website called Letsshave.com. 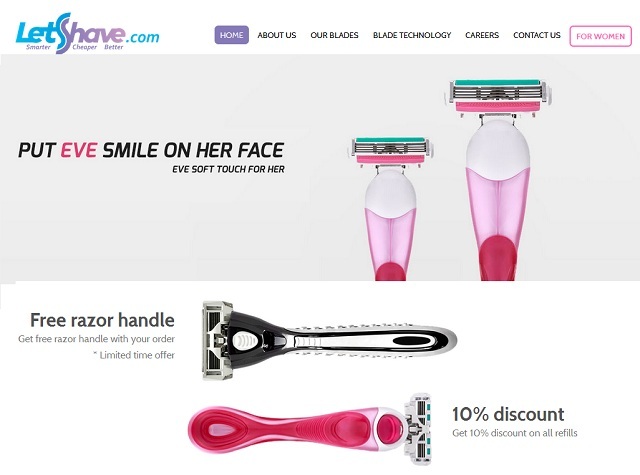 Lets Shave.com sells shaving razors for both men and women at very affordable price and with affordable one should not mean that there is any compromise on quality. There you can shop for razor handles and cartridges. I have this Eve Soft touch 4 razor for women which is a very pretty looking pink razor handle with an equally attractive looking cartridge. By the way, you will get a FREE handle with every order and the returning customers will get 10% off their refills lifetime. The razor looks beautiful and colorful, this was my first impression when I saw this razor. 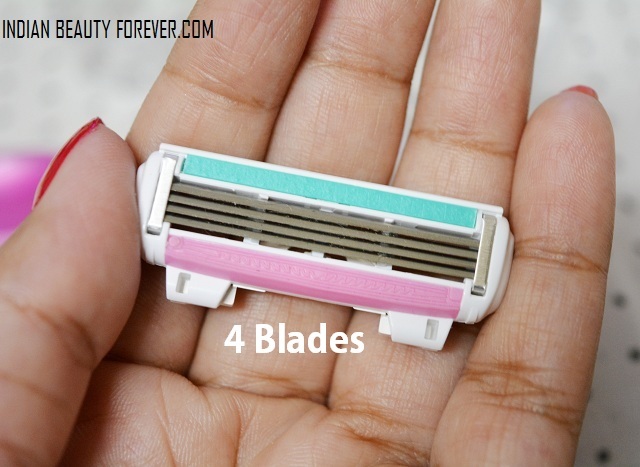 It has 4 blades in the cartridge which is just great to have a closer shave. By the way there is a button at the top end of the handle which when is pushed forward will help in dislodging the cartridge when you wish to change the old one. The handle of this razor has a very ergonomic design. It has this rubbery design which is extremely good. Do you know why the rubber design over the handle is there? 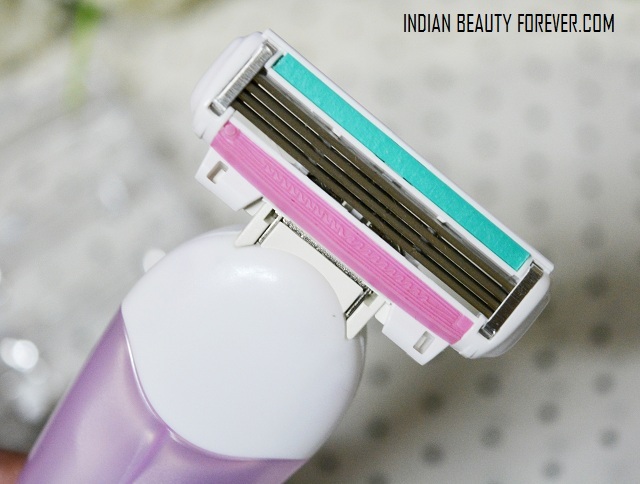 It’s because if you have used any razor you will notice that the handles which are only made up of plastic tends to slip and when the razor slips then there are chances that it is more likely to leave cuts. This is what bothers me a lot since I have faced this a couple of times. So, with this as the handle’s rubbery molding that helps to have a better grip. While using this razor I realized that it shaves very closely without affecting the skin in any ways. The pivoting head of the razor will helps to use this over the contours of body parts very nicely for a smoother shave. The lubricating strip that you see has chamomile, olive oil and allantoin that helps to sooth and moisturize the skin. After using this for 2-3 times, I can say that it is really good and there are no flaws that I could find which hinders the performance in any ways. 4 blades for a smoother closer shave. Head of this razor tilts around 90 degrees so as to give a close shave on the contours. Easy to use to get a hair free skin. Handle is designed beautifully and keeping in mind the user experience. The handle is non slippery hence gives full control while you shave. The lubricating strip is helpful in moisturizing the skin and also protecting the extreme close contact which also helps to protect the skin further and makes sure that only the hair strands are cut as closely as possible without damaging the skin surface. None, since it does what I expected from a good razor. 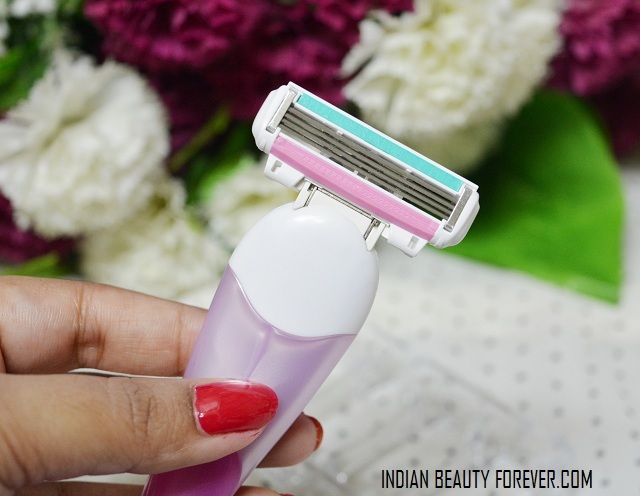 Final Take: If you’re amongst those who use this method of hair removal, which I am sure most of us do since shaving is convenient, then I would suggest just use Eve Soft Touch 4 Razor from Letsshave.com once and you won’t be disappointed with the quality, performance and the price of this razor. That sounds like a must have :) well reviewed dear.